BRAND NEW ROOF on this Immaculate ALL BRICK BEAUTY! This meticulously maintained and adored 4 bedroom 3 bath home has the WOW factor! Throughout the open floorplan of the home is beautiful wood plank porcelain tile. The Completely updated kitchen will impress with the ample 42'' wood cabinetry complimenting the miles of Granite counter tops, all surrounding BRAND NEW Stainless Steel appliances. 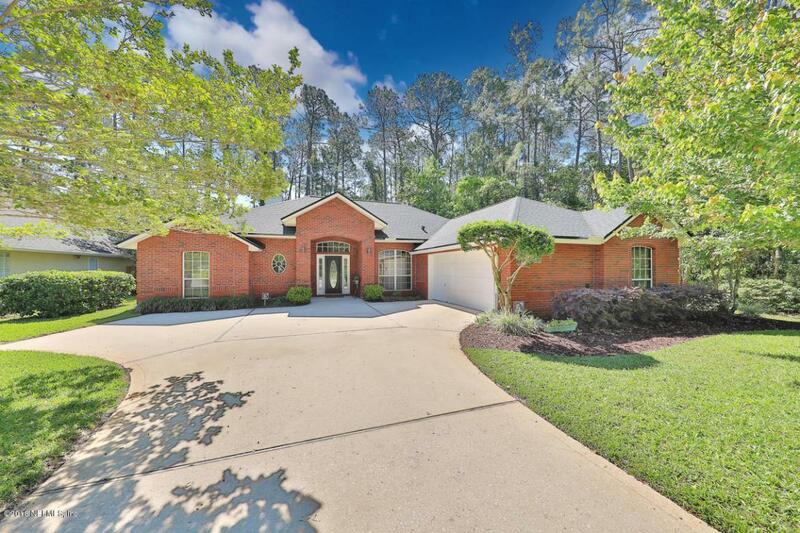 At the end of the day, retreat to the oversized Sanctuary like Master Suite offering tray ceiling, His and Hers walk in closets, and fully updated master bath. This home is the gift that keeps giving with the 80ft wide lot that is surrounded by preserve and fully fenced backyard. Rest easy with a BRAND NEW HVAC, and Water Heater, energy efficient window tinting, and Termite Bond!